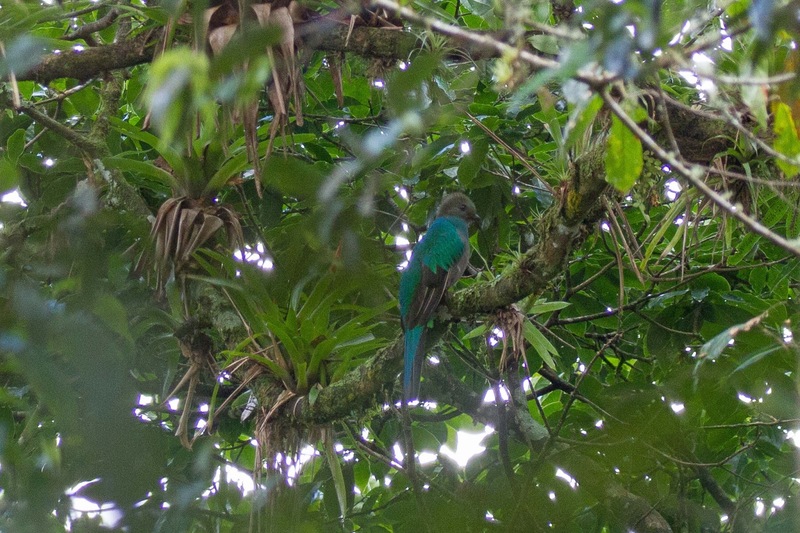 Philly Bird Nerd : Honduras Wrap-Up: Nemesis No More! 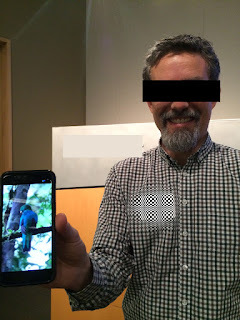 As stated in earlier posts, the Bird Nerds have been to Central America a few times in the past. Each visit yielded many, many birds but not the most beautiful bird in the Nerd's opinion. The bird is so magnificent that it's name is "Resplendent" Quetzal. 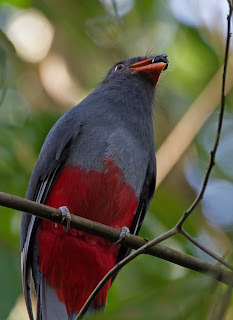 If ornithologists call a bird "Resplendent" it must be pretty awesome. The Nerds haven't seen the bird ever but it seems as though every non-birder who goes to Central America comes back with tales and photos of seeing the bird. They all say - "oh, you MUST have seen this one" or "we pulled into the parking lot and there it was" or "look at this photo that I took with my iPhone". I hate them all. Here is my friend James showing off his cell phone photo of the RQ. 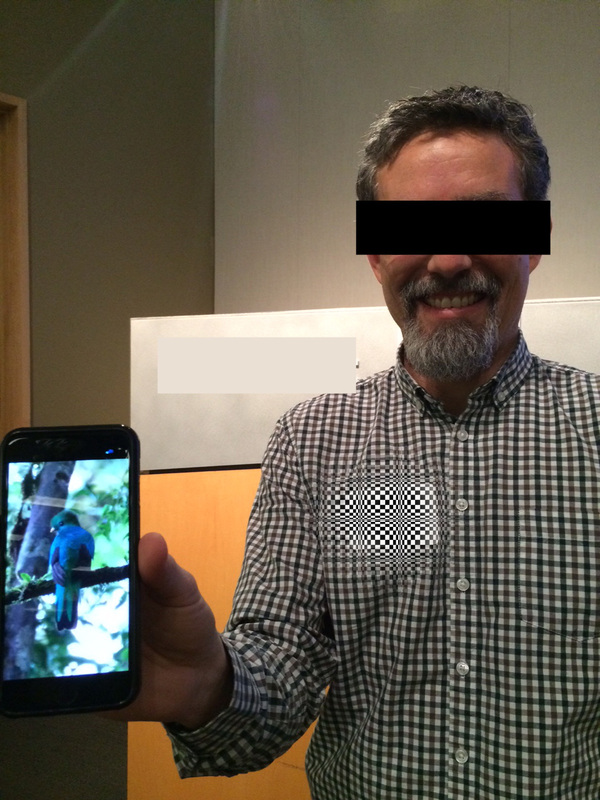 I modified the photo because I didn't get his permission to post to the blog. 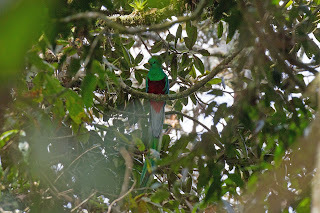 This trip, I told everyone that I wasn't leaving Honduras until I saw a Resplendent Quetzal. 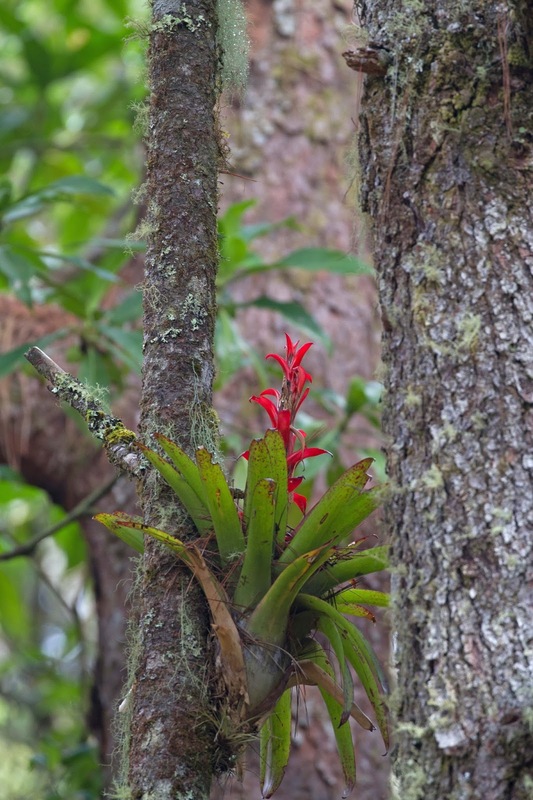 Our guide obliged by taking us to the cloud forest at La Tigra National Park and also to another location El Jilguero which also has RQs. We managed to see a few females at La Tigra. You can see what type of habitat they like. This is deep cloud forest that has almost constant mist that allows bromiliads to grow on almost every tree branch and trunk. Here is one in bloom. This tree trunk is literally covered in other plants that thrive in the misty forest. At El Jilguero gave us great looks at both male and females. The trouble with both interactions is that the birds are in dark forests so photos are not that great. Here is another female. She makes a racket when she flies in - calling the whole time. She has a gray head, wonderful green/blue back and pretty long tail. 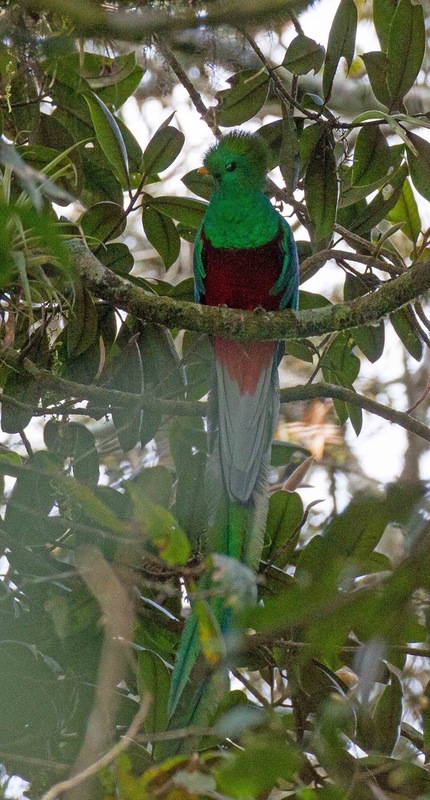 The male RQ is the piece de resistance with his shimmering green head, bright red breast and 2 foot long tail streamers. You can barely see the tail streamers in this photo. Take a good look. I cropped the photo to give you a better view. The experience was awesome. Seeing the RQ brought Connie to tears! It is an awesome bird. 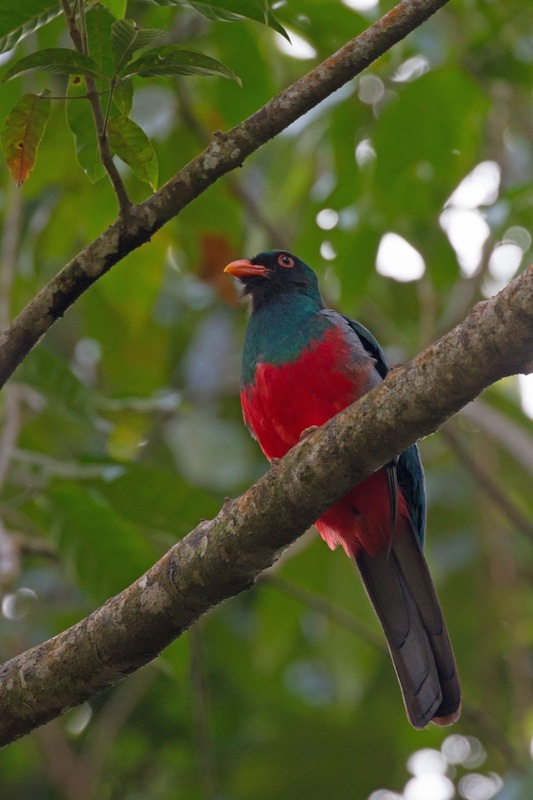 Quetzals are part of the Trogon family. We saw a few other Trogons on our trip. Here is male Slaty-tailed Trogon. 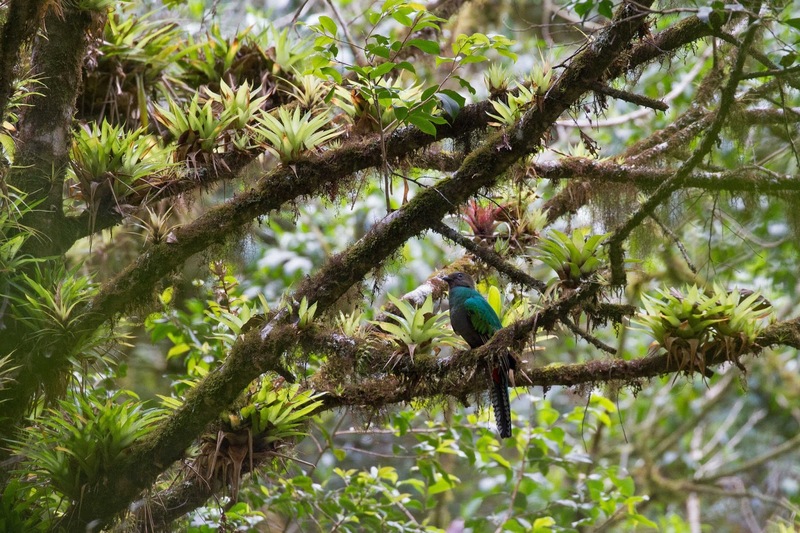 Here is a female Slaty-tailed Trogon chomping on a berry. 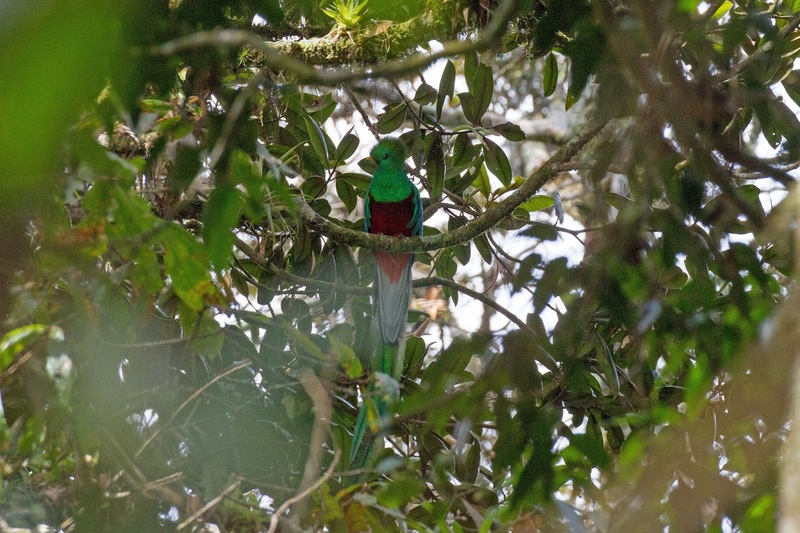 This pair was right outside of our cabin at Pico Bonito. 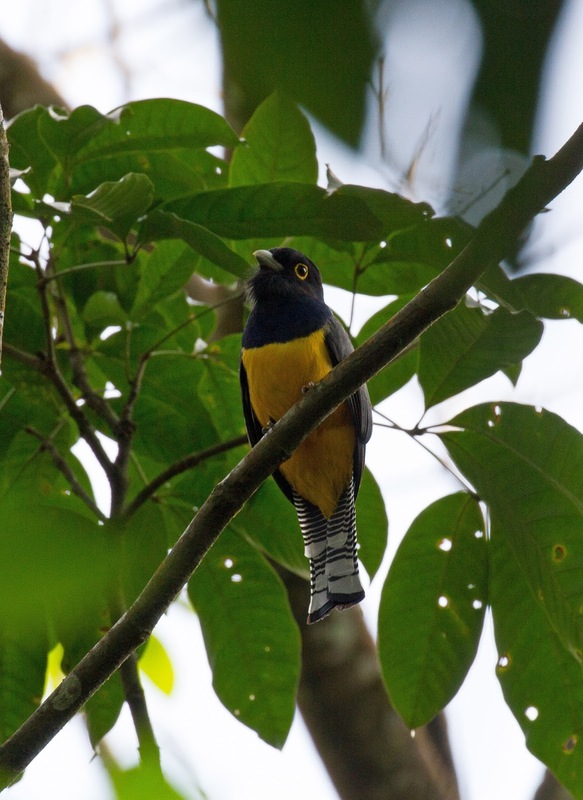 Here is Gartered Trogon, also from outside of our cabin. 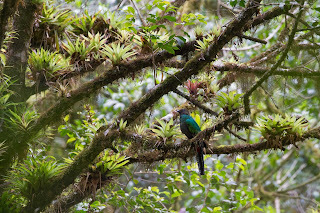 Trogons and Quetzals are pretty showy birds but I think they capture my attention by their behavior. They perch and turn their heads very slowly, looking around as if they can only see out of one eye at a time. They look up, down and side to side in deliberate motions almost as if they were robots. Most Trogons have an eye ring which accentuates the odd motion.